With mobile gaming poised to be a mammoth $100 billion industry, we have seen quite a few gaming-centric smartphones launch in 2018, creating a niche of high-end devices meant particularly for high-end gaming. It all started with the Razer Phone that offered flagship hardware with a 120Hz display, and then Asus took it forward with a stand-out ROG design with some interesting features. In between them, Chinese-brand Nubia also released its own take on a gaming smartphone. 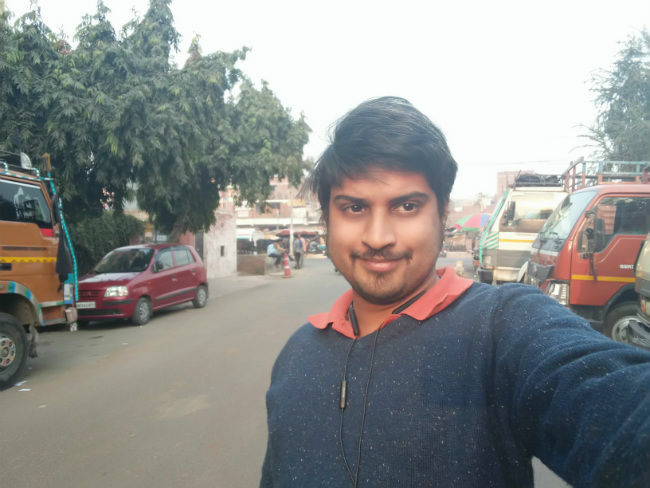 The phone launched in early 2018 in China and it was only in December that the phone made its way to India. 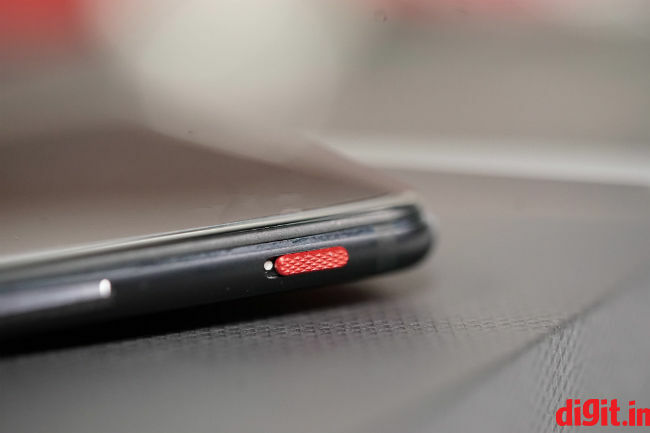 A unifying factor for all the gaming phones announced last year was the fact that all were powered by flagship hardware under the hood, except for the Nubia Red Magic. When it was announced back in April 2018, it was still acceptable to use the Snapdragon 835 as the new Snapdragon 845 was hard to come by. However, by the time it came to India in December, the Snapdragon 835 under the hood of the Nubia Red Magic, already felt old. Between the two chipsets, there is a 25-30 percent boost in performance and a similar improvement in power efficiency, even though both are based on 10nm manufacturing process (albeit different ones). Now, with the Snapdragon 855 already announced and expected to power flagship smartphones in 2019, a two-generation old SoC may not feel as new. But that doesn’t mean it’s obsolete. In fact, because the Red Magic uses an older flagship processor, it managed to bring the price down to Rs 29,999 effectively making it the most affordable gaming smartphone around right now. But is it worth spending money on a ‘gaming phone’ that runs on older hardware? Or should you stick to a regular high-end smartphone in that price instead? Read on. The question is, how to define a gaming phone? If it’s only the flagship hardware, than every flagship and high-end phone (the OnePlus 6T, Poco F1, etc.) are gaming phones by themselves. 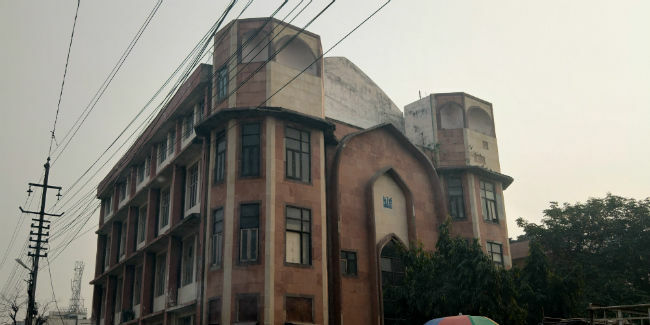 Is it the design? Asus defined its gaming phone by coupling a host of accessories like an external dock, cooling fans and more in the ROG phone, while Razer defined it by using a 120Hz display. Xiaomi’s BlackShark also have an edgy design and supports gamepads to enhance mobile gameplay. 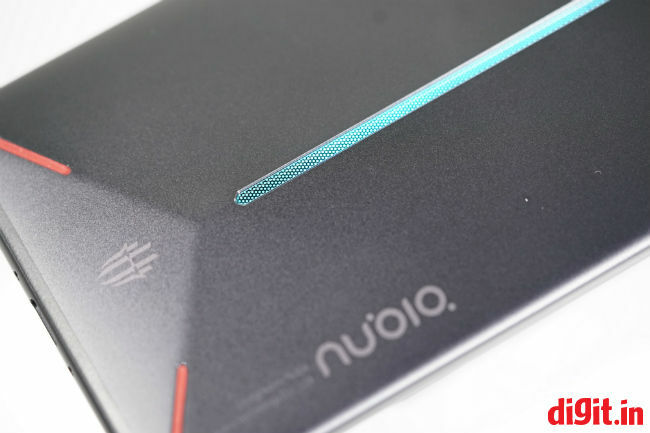 The Nubia Red Magic, similarly, attempts to stand out as a gaming smartphone by using a RGB LED strip on the back and incorporating air vents for faster cooling in the body. 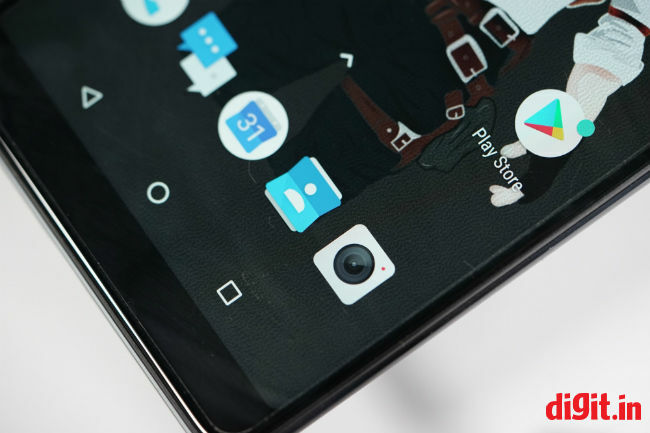 It certainly looks different from the mainstream glass-bodied phones with notched displays. The Nubia Red Magic is precision crafted with a matte finish. The chassis itself is built in a convex shape for better ergonomics, but apart from making the phone look funkier, there isn’t a marked difference in hand feel. In the center is the RGB LED strip and only three of the red strips present in the four corners are air vents. The one on the bottom left corner is the speaker grill. The LED light come into play when you’re gaming or there’s an incoming call or while charging. You can also choose between multiple light modes, but the illumination itself isn’t all that bright. It’s quite dim, in fact, and thinner than what it seems from the ads. There’s a similarly shaped slit-like fingerprint sensor on top of the RGB strip, right below the small octagonal camera bump. Despite the odd shape, the fingerprint sensor worked just fine. There is also a dedicated button to turn on gaming mode, placed right above the power button on the right. Overall, the Nubia Red Magic’s outer design will please a mobile gamer. It’s unique and doesn’t come in the way of gaming. The phone itself is quite heavy. Perhaps it's the big 3,800mAh battery or the sturdy metal body, but it’s uncannily bulky. Praise must be showered on the seemingly superior build quality. The buttons feels strong and so is the frame and the rest of the body. Sure there are thick bezels on the top and the bottom, but in exchange for that, you get a notchless display which scores higher points in my book. Both the Asus ROG phone and the Razer Phone attempt to gain supremacy with a display with higher-than-normal refresh rates. In contrast, the Red Magic sticks to the usual 1080p panel with an aspect ratio of 18:9 and a pixel density of 403 PPI. It’s pretty much the same as the Poco F1 which also relies on a panel with similar specifications. The LCD panel feels smooth to touch, but the colours seem a little washed out. It seems to lack contrast even after switching to a saturated colour mode. Interestingly, this flagship gaming phone has Widevine L3 certification which means you won’t be able to stream content from Netflix and Amazon Prime Video in FullHD or even in HD. Further, the YouTube app itself wasn’t optimised to fill up the extra screen real estate. These are little things that go a long way in making the user experience better and it’s disappointing to see these features not present in a ‘gaming phone’. While gaming though, the Red Magic’s display works well enough. We played Asphalt 9 and PubG Mobile on the phone and the game elements were easily discernible. It won’t bedazzle the user though like the Razer Phone does with its smooth refresh rate or the ROG Phone does with its deep contrasts and high saturation. There’s also no HDR support or support for a wider colour gamut which are something gamers look forward to, in a phone. If the Nubia Red Magic was like any other mainstream phone, the display would have been just fine. But since it comes labelled as a gaming phone, the panel leaves a lot to be desired. Guess this is one of the places that Nubia cut corners to make a ‘budget’ gaming phone. Anyone thinking of buying a gaming phone will pay particular attention to the performance of the device. And the Nubia Red Magic, arriving more than six months after it’s launch, is already outdated as far as the spec-sheet is concerned. But the Snapdragon 835 SoC powering the phone is still quite powerful and more or less ensures a smooth user experience in day to day usage. There’s definitely a wide gap in benchmarks scores, and gaming isn’t as impressive as even a mainstream Snapdragon 845-powered phone. 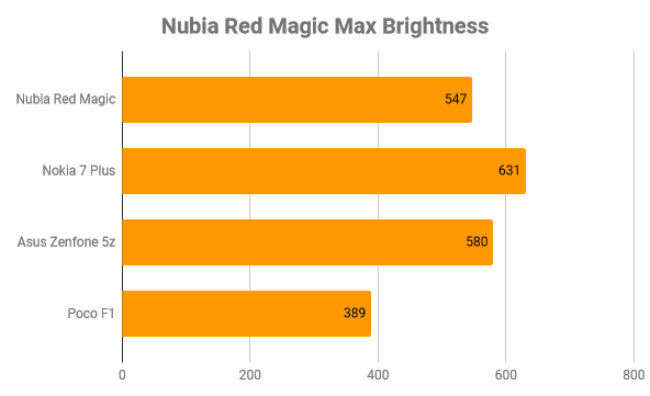 On Benchmarks apps, the Nubia Red Magic scored much lower than other gaming devices and all other flagships launched last year. 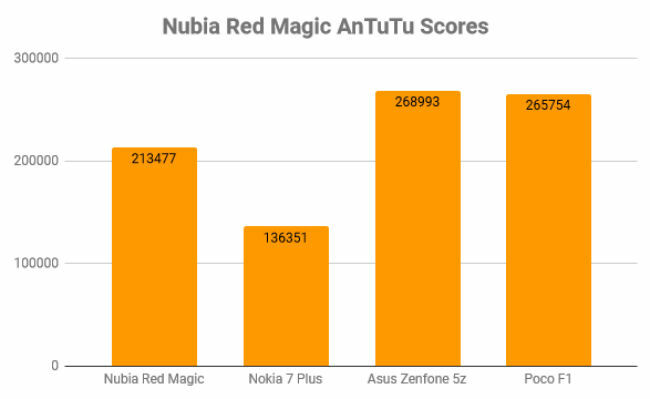 On AnTuTu, the Nubia Red Magic scored 213477 as against the Poco F1's 265754. 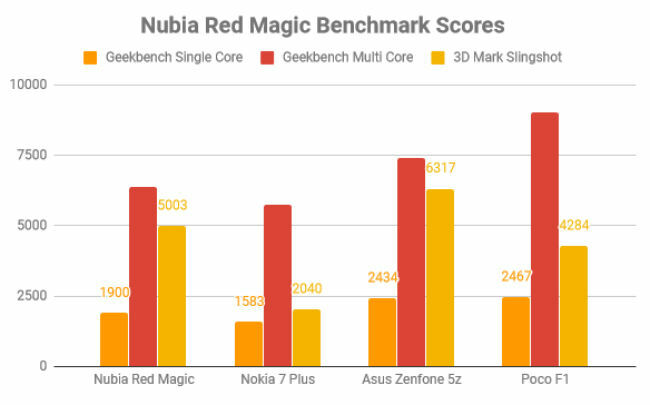 On Geekbench Single and Multi Core tests, the Nubia Red Magic managed to clock 1900 and 6358, both lower than the best-selling Poco F1 which will be it real competition. Having said, the Nubia Red Magic seems to be quite ahead of other phones running the Snapdragon 835, but that's perhaps because of the larger RAM inside. Even while gaming, the Red Magic failed to impress. PubG Mobile, which is one of the only games that stresses the resources of a smartphone, managed to run at 30 FPS, far lower than the 40 FPS we have seen on Snapdragon 845-powered phones. The gameplay was also very jittery with random lag and frame tearing. We tested the gaming performance in all situations — On Wi-Fi, cellular network and with the Game Boost mode on. There wasn’t any perceivable difference. There is 8GB of LPDDR4X RAM and 128GB UFS 2.1 storage to boot as well, but the biggest bottleneck is the processor in the phone. The 2.4GHz Snapdragon 835 seems inadequate to handle games like PubG Mobile. It does run games like Asphalt 9, Dead Trigger 2, etc. pretty fine with no visible lag, but I doubt anyone will buy a gaming phone specifically to play these games. The major reason for the sudden outburst of gaming phones is this new genre of battle-royale games like Fortnite and PubG Mobile that has over 200 million users each playing on smartphones. In that regard, the Nubia Red Magic cannot hold a candle to even a top-end mid-ranger as a matter of fact. Despite it’s affordable price tag, it’s wrong to call the Nubia Red Magic a gaming smartphone, because that’s one of the main things it can’t handle smoothly. If you will be using the Red Magic for anything other than gaming though, it will work more or less smoothly. Unlike older Nubia devices, the Red Magic’s UI has few customisations. It’s mostly stock Android, but an older Android 8.1 Oreo. It would have been nice to see the phone launch with Android 9 Pie out of the box considering it launched in December. The phone runs on an older security patch, and everything apart from the camera app is stock Android. In the Settings Menu, the only thing different is the option to tweak settings for the RGB strip, and that’s that. This is one place where the Nubia Red Magic stands out from the rest of the gaming phones. Where every other gaming phone relies on their custom UI, the Red Magic sticks to stock Android which takes up much lesser CPU resources and RAM to operate smoothly. Considering this is a gaming phone, the camera is naturally not the biggest priority. 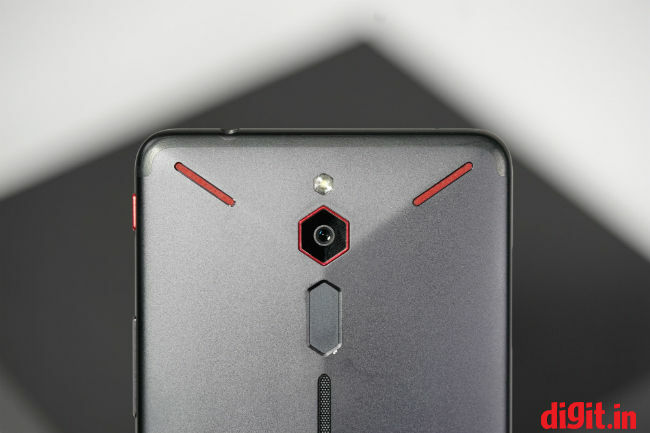 However, Nubia does mention that in their quest to make a gaming smartphone, the camera wasn’t compromised. But that does not seem to be the case, as the camera lacks features like portrait mode and the resulting images too aren’t quite satisfactory. The phone relies on a single 24MP sensor with f/1.7 aperture while on the front is an 8MP sensor with f/2.0 aperture. These are basic specs found in most high-end smartphone cameras these days. 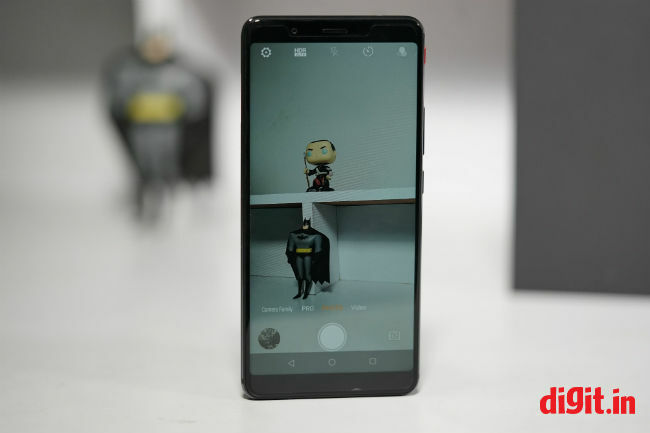 The mainstream phone cameras are further bolstered by the presence of AI and additional sensors to enable portrait mode, etc. The Nubia Red Magic doesn’t have any of that. Even the Pro Mode in the camera app is heavily restricted. The prime example of the phone’s mediocre camera is the sample above. The photo was taken in the afternoon where there was a lot of light pouring in. The auto-mode locked down to ISO300 for the shot while the shutter speed was at 1/33 seconds, and yet there was visible noise in the photo. 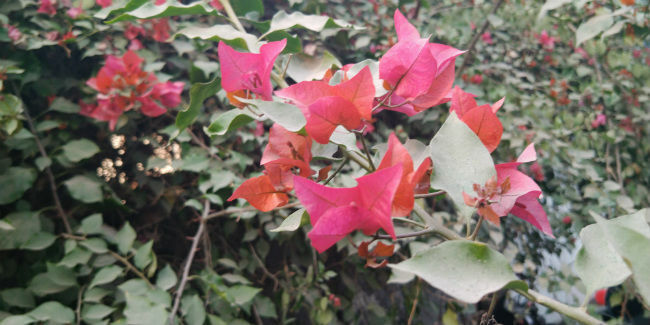 It shows the camera does poor processing of the images. 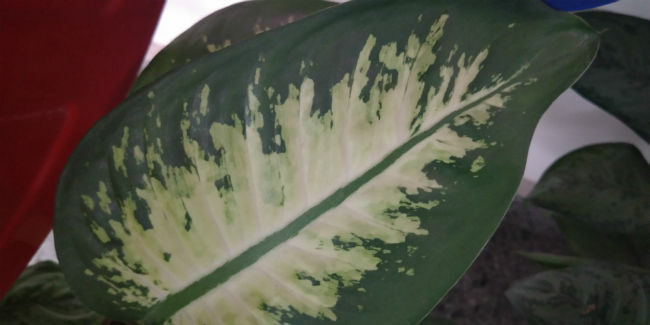 In close-up photos, like in the sample above, there’s hardly any detail. Even in mid-range mainstream phones, the macro shots usually manage to capture a lot of detail with great sharpness. The Nubia Red Magic’s camera fails to do so in this case. However, thanks to a rather wide f/1.7 aperture, shots like these will have a natural shallow depth of field. While once again there’s little to no detail in the close-up shot, the natural blurred background makes it look good. In low-light, the performance is expectedly bad. There’s way too much noise to discern much from a poorly-lit scene. ISO levels go up to 1600 in some cases where it’s practically unusable. In fact, noise starts to creep in from ISO 300 itself. The front camera is far better than the rear camera surprisingly. There’s a smoothening effect on the skin but taking photos against harsh light always washes out the photos. Overall, as expected, the Nubia Red Magic isn’t a great camera phone. A gaming phone, apart from delivering stable, high performance is also supposed to last long. And the Nubia Red Magic doesn’t disappoint. While it failed to run the PCMark Work 2.0 Battery Test, the Red Magic did last a good 30 minute PubG session with an acceptable 35 percent battery drop. The 3,800mAh battery is quite adequate, but at the same time, I was left thinking if this same battery was paired with a Snapdragon 845 processor, the battery gains could have been much higher. The phone charges to full capacity in around an hour and a half, thanks to a 12V fast charger.